Magnum Switchgear commenced its operations in January 2009. The company started from contract manufacturing panels & contactors. 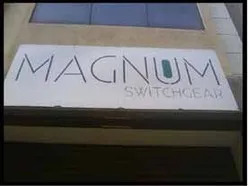 During the year 2012 products were developed under the brand Magnum. The focus is clearly to put more effort in enhancing the product value of Magnum & making sure it has the best reach. We are a company into manufacturing of switch and control gear; our offerings are focused on control mechanisms for motors/submersible pumps. Quality and standards of each product have been constantly monitored, and it’s our endeavor to improve it every season and every angle. Rest assured, you will always count on us for our developments. We visualize ourselves as the preferred brand for the major population and preferred company to contract manufacture, Fifteen years down, we see ourselves as the best value offering motor controls manufacturer in India. Trading & Services of Pump Panels And Sub Assemblies. We visualize ourselves as the preferred brand for the major population and preferred company to contract manufacture. Fifteen years down, we see ourselves as the best value offering motor controls manufacturer in India. While we carry on our business and aim to reach our vision, we always will stick to being humane in our conduct. All policies and philosophies that the company should follow will be guided by our being humane We will achieve to provide best value by.